viaLibri ~ PRUSSIA AND POLAND. London 1834 - Copper engraving. Original colour. Size: 59 x 47.5 cm. 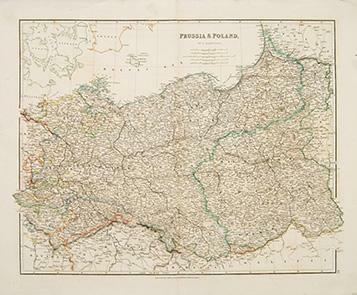 Handsome map of Prussia & Poland. John Arrowsmith constantly revised and improved his popular London Atlas and it ran to many editions. The London Atlas of Universal Geography.